As the checkered flag waved at Road Atlanta, Christina Nielsen completed her fourth full season of the IMSA WeatherTech SportsCar Championship. 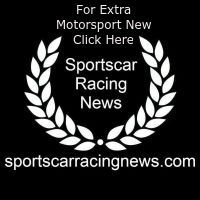 The 10-hour race just outside of Atlanta proved to be another tough one for her and her co-drivers Patrick Long and Robert Renauer of Wright Motorsports. Even though the team had to start from the back of the grid due to an engine change for the No. 58 Porsche Consulting/Porsche Digital Porsche 911 GT3 R, the trio drove hard to climb all the way to first place — until a late penalty ruined the race-leading run. 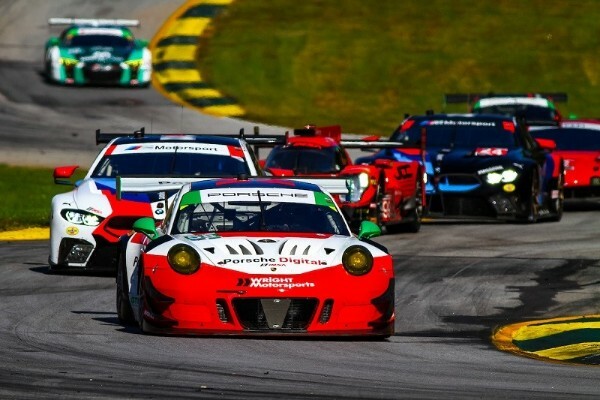 They were able to cross the finish line in the top five in the GTD class, completing the 21st Annual Motul Petit Le Mans in fourth place and the 2018 series championship in fifth place. Nielsen started Saturday’s endurance race from 12th position. Within the opening laps, the Danish driver quickly overtook four competitors, moving up to eighth place. She continued a strong drive for the entirety of her opening stint, driving on pace with or faster than as many as seven GTD drivers in front of her, before taking the pit stop to deliver the Porsche to Renauer in seventh place. From there, the three drivers showed their skill racing the expertly prepared Wright car, and it wasn’t long until they led the GTD class — even with an unplanned pit stop to repair a blown rear tire. With less than an hour and a half on the race clock, the team was handed a drive-through penalty — their first punishment of the entire season — after what appeared to be a racing incident. The remaining time wasn’t enough to regain the positions lost, and Wright Motorsports finished in fourth place. After finally having the opportunity to display consistent dominance in the GTD field, it was a very difficult result for Nielsen to accept. “Today we had a really strong performance by the entire team,” said Nielsen. “I’m proud of everyone. It really showed what we’re made of. I’m just so sad and feel so, so sorry for everyone on the team because we didn’t get a result that reflected that. My co-drivers performed really well, the pit stops were flawless, the strategy was great and everything was well done. And we had a really nice racecar — one we could win with. We showed that especially towards the last couple of hours of the race when we kept plucking away because we had to start farther back due to the engine change the day before. “To then have a race turn out like that because we got an unfair penalty — something that should never have been penalized, in our opinion — you can’t help but wonder why some of the more serious accidents weren’t penalized,” she said. “It feels like there’s some inconsistency there. I really respect the people working in IMSA race control because I think they have a tough job, but today I did not understand at all where that penalty came from.